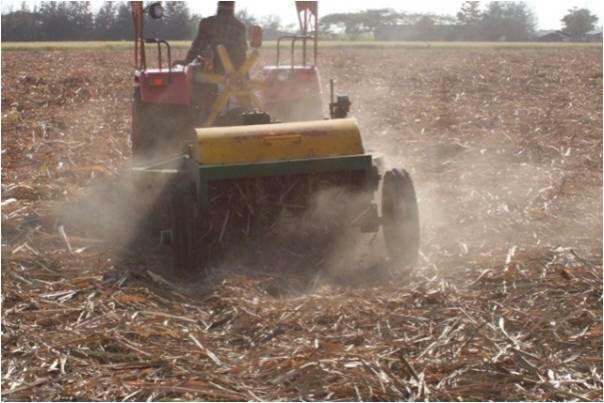 inputs like composting culture, bio fertilizers to farmers to increase the adoption of technology. Trash mulching improves the soil health. Soil pH reduced from 8.65 to 8.20, organic carbon increased from 0.42 per cent to 0.58 per cent and water holding capacity increases from 45 per cent to 49.5 per cent within the four years period of this practice. Weeding cost reduced from Rs 9200/- to 5000/- per ha. 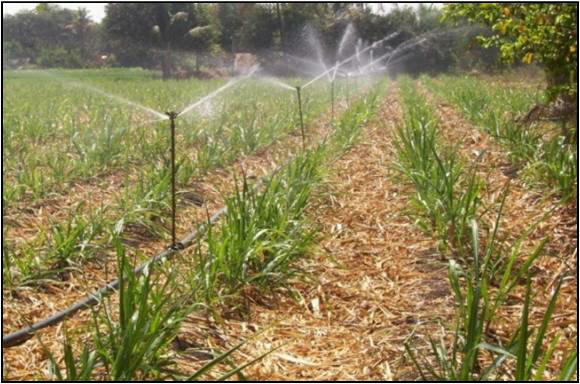 Besides these benefits, Irrigation interval of the crop increased by 15- 21days under drought situation and saving 35-45 per cent in water requirement. Ratoon crop sustain well during drought condition only due to trash mulching. 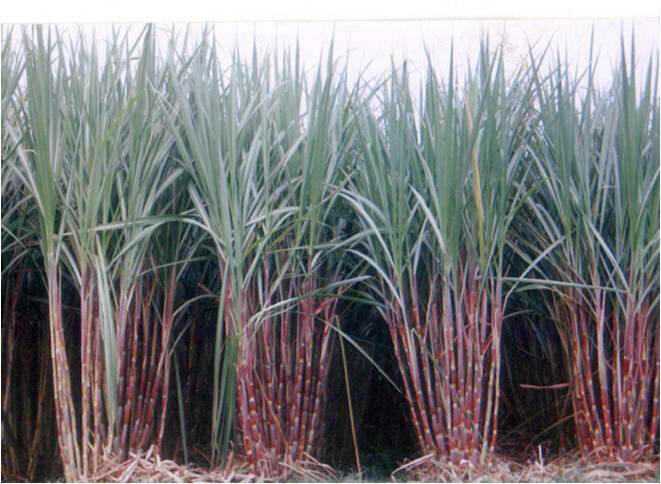 Similarly technology like spot application of fertilizers with a special type of tool called “Pahar”, also become popular and increases its adoption in trash mulch sugarcane. Area under trash mulching is increase continuously and farmers also purchased the tractor operated trash cutting machines for trash mulching. It is time and labor saving. It also help for technology adoption and dissimilation.